A very dull and boring movie with no plot at all, other than a series of nature shots and the occasional check in with a family living a pretty normal life. The Tree Of Life is a mess. I should have expected as much, being as how Terrence Malick directed it. this director makes a movie about once every five years or so, and his movies are long and dull. The first movie of his that I saw was the thin red line, in 1998. It was about World War II, only it told more of the artistic side than something like Spielberg’s saving private Ryan (ironically released the same year.) Ryan was more about the violence and the action. Malick wanted to capture the nature around it. still he had some action scenes in it, and that was enough to make it at least watchable. the same cannot be said for tree of life. The movie, which stars Brad Pitt, is about a family. only it really only approaches the family after about thirty minutes in. the first thirty minutes are more shots of nature and galaxies. they say this movie is about a man searching for the meaning of life, but it isn’t. Just because there are images of the cosmos and outer space, and Malick turns back the hands of time at one point to show a little pre-history, doesn’t mean the main character is on some sort of a mission to make sense of it all. in the first thirty minutes of the movie, we get a lot of moving camera shots over beaches and landscapes. We sometimes get to see the family just playing outside their house, but again, it’s mostly sweeping shots that brush over them, as opposed to watching any scene of something happening. as far as dialogue, there is almost none. there are certainly no conversations of any kind at all. Instead, there is the occasional voice over have a character praying or reading Poetry. give me a break. I watched about twenty minutes of this movie and then gave up on it. I turned it off, and was ready to throw in the towel. And there was even a line or two about Sean Penn, playing one of the sons, all grown up, and how his brother died. we even got to see the mother at home and the father at work getting calls about the son dying. But no dialogue of course, just empty noise and then Sean Penn’s voice over. and even with this semblance of a plot, the movie still went on to divert itself away from that plot and become all about nature and the cosmos. The next day I decided to give the movie one more chance and tried it again. This time I watched until the end, but it sure didn’t get any better. The shots of cosmos turned into shots of lava, again and again, and I started feeling like this was the kind of movie that would be played at a science museum. beautiful, yes, but absolutely no storyline or attempt at having one. At one point the movie went back to the time of the dinosaurs and we got to see two or three of these creatures in action. that was pretty cool. Especially because of the way Malick tried to make them look as realistic as possible. I especially liked the long-necked dinosaur sitting on the beach, letting the waves roll up to him. but again, this has nothing to do with a story. After a very lone time of nothing happening, we check in with the family. no, for the first time, we start hearing some conversations. they’re not really about anything, but at least once in a while we get to hear characters talking to each other. Brad Pitt’s father tries to train his boys in how to throw a punch. Somehow Pitt’s character ends up coming off as a bad father. i’m not really sure I understand how or why, but his kids end up hating him. especially the eldest son. We learn this through the son’s voice over saying things like how Pitt tells him not to put his arms on the table, then goes, and does it himself. Like that’s such a terrible thing? We do get a scene where Pitt gets upset with one of the boys and throws him out of the house, but for no reason at all the kid told his father to be quiet. I’m surprised Pitt didn’t beat him for that. Then maybe we would have a reason not to like him. But here, he is just trying to keep his house in order. You would think, after the only thing resembling a plot in the beginning, told us that one of the boys died, that at some point in the movie we would find out how the boy died. You would think that since the movie set us up to wonder about that and kept us wondering for as long as it went on, that they might answer that question. But they never do. It’s as if the movie is so oblivious to storyline that even when it has something going, it isn’t even aware of it. Terrence Malick has been compared to Stanley Kubrick, but the comparison is actually pretty ridiculous. Both men would take their time to put out films and had only a handful of work under their belts, and both men were rebels, making movies the way they wanted to. But Kubrick’s movies had stories and characters. Malick’s movie might as well be a silent film, and his other movies aren’t all that much better. I did love one of his movies, called Badlands, starring Martin Sheen as a young criminal. But Martin Sheen was just a kid in that movie and it was over thirty years ago (1973). that was back when Malick was making movies with plots to them. later on I saw his movie days of heaven (1978) and it was incredibly boring. whatever Malick had going for him with badlands was now long gone. he then took twenty years before make his next movie, the thin red line. this guy is strange to be sure, but that doesn’t make him the next Stanley Kubrick. 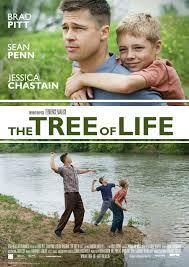 Malick’s tree of life is his worst film yet, and probably his first attempt to really make a movie without a story. What a terrible idea.